I got this free to try through ChickAdvisor. This ice cream has a smooth light raspberry taste with a nice touch of chocolate fudge! The favours compliment each other well. A perfect addition to a cozy night in or a relaxing day in the sun. 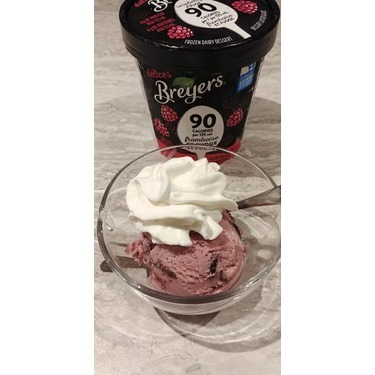 To top it off it only has 90 calories per serving! I was selected to review this product free from Chick Advisor, in a Raspberry Fudge flavour. It’s amazing! Low calorie, HIGH flavour. 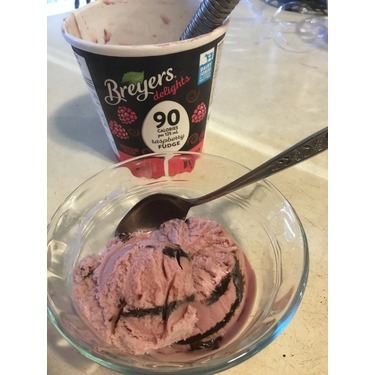 It tastes like fresh raspberries crushed up and added to ice cream, and has large chunks of fudge sauce swirled throughout. 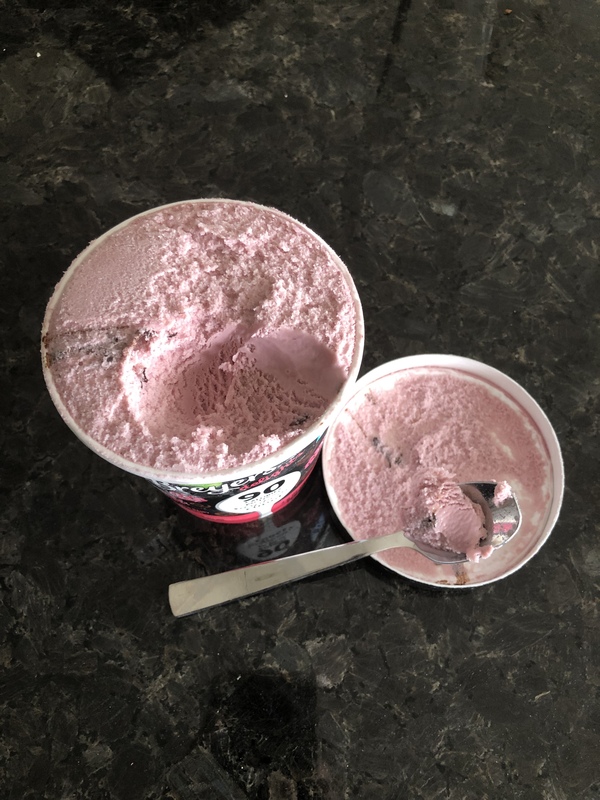 I had to physically stop myself from eating the whole pint in one sitting. Would 100% recommend, and will definitely be buying this again! 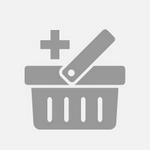 I was given this product for free by chickadvisor for testing purposes. 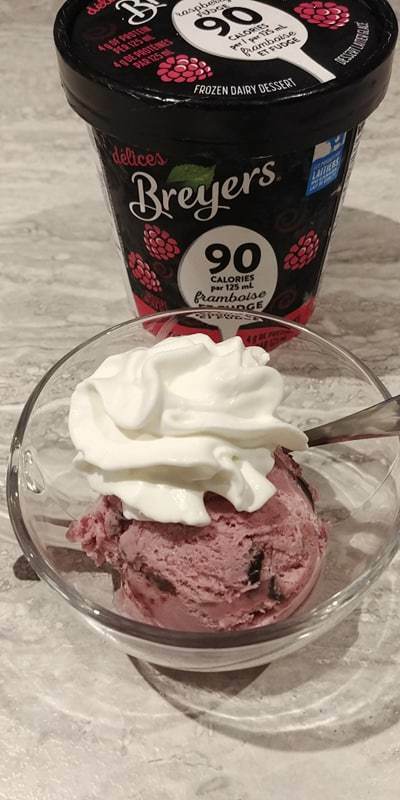 Now, I really enjoyed this ice-cream, it is so flavourful and creamy and tastes just like raspberries and love the hidden chunks of fudge! So delicious. 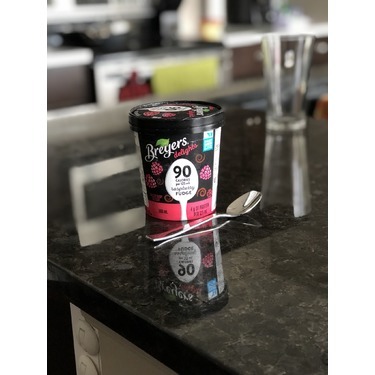 I should add that I was really surprised that with overall full-flavour taste I couldn't believe that it was only 90 calories per serving. Amazing product, will definitely purchase in the future! 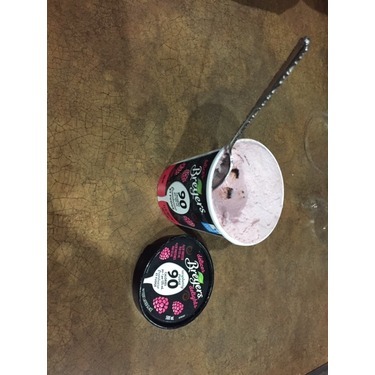 The raspberry flavour is very fresh and the perfect amount of sweetness. I love the big swirls of fudge, and the flavours compliment each other so well. 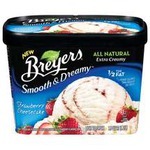 The texture is the best I've experienced in a low calorie frozen dessert! J'ai reçu ce produit dans le cadre du Review Club et voici mon opinion: c'est beaucoup trop bon, ça se mange presque tout seul! Le goût de framboises est bien présent sans devenir agressant et le fudge est délicieux, d'une belle texture et surtout, pas trop épais, loin de la! Le dessert glacé a également une belle texture, juste parfaite, vraiment pas trop épaisse. J'ai bien aimé aussi avoir un produit aussi gouteux avec aussi peu de calories par portion. 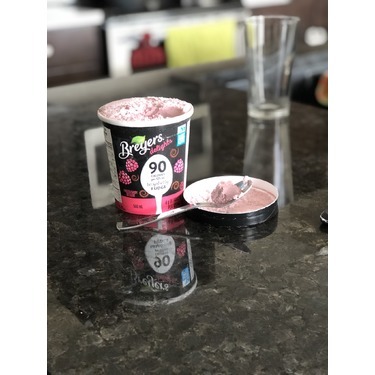 I was lucky enough to receive try the Raspberry Fudge flavour for free in exchange for my honest reviews. 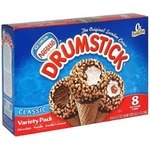 I love ice cream, so I was super excited to know that there are low-calorie ones I could eat as a treat! 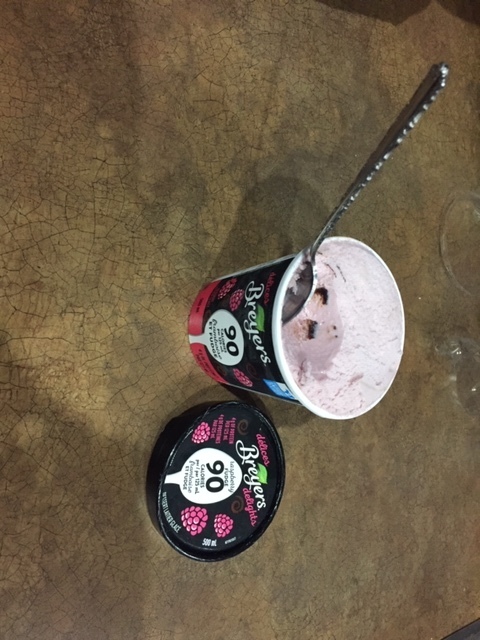 The raspberry flavour is very pronounced, as is the fudge flavour. 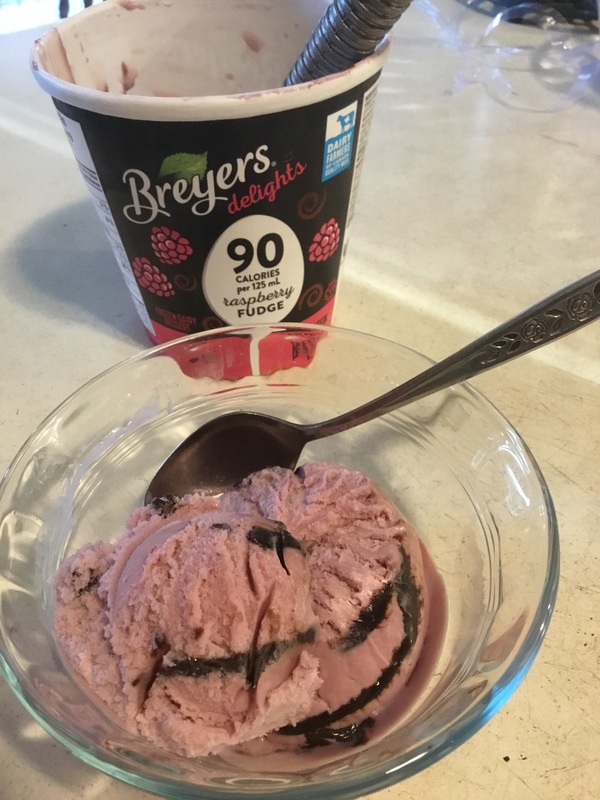 I like the balance of the sweetness of the fudge and the sourness of the raspberry, though sometimes the fudge overpowers the raspberry depending on the scoop. 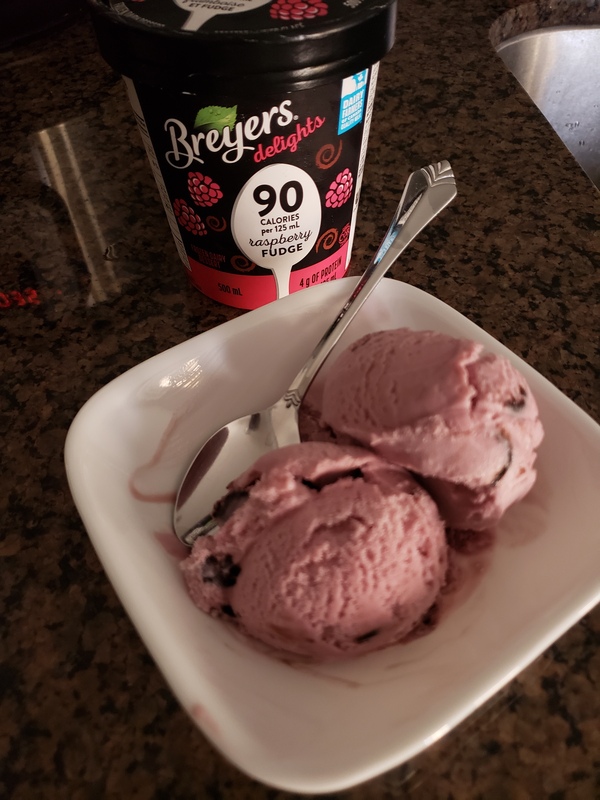 The ice cream itself tastes light and more like a sorbet than ice cream, as I couldn't really pick out the taste of dairy. 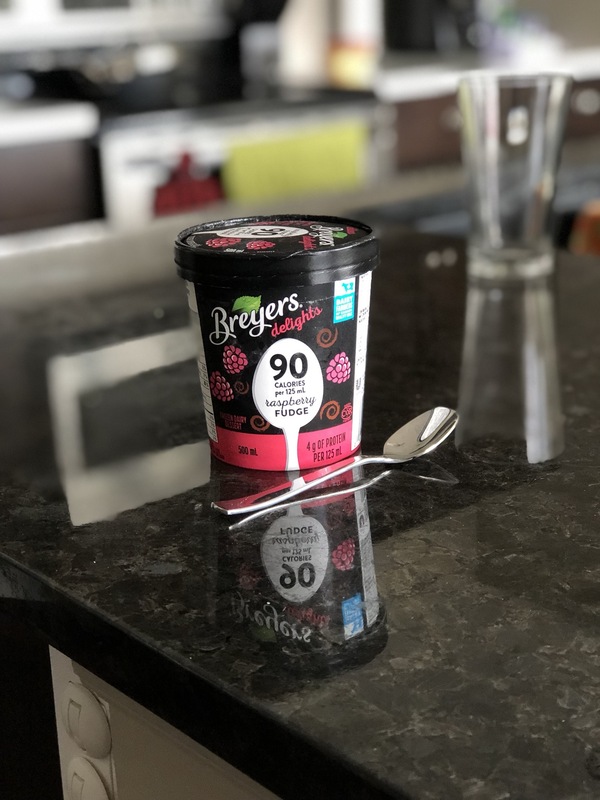 It is still a good treat, and tasty enough but not so calorie-dense that I could eat half a container and not feel guilty. 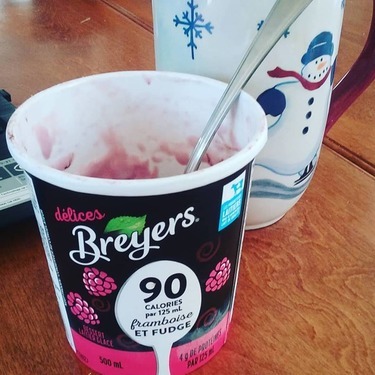 I was quite excited to taste this as raspberries and chocolate are two of my favourite foods. It was difficult to find as I went to two stores before locating it at the third one I tried. 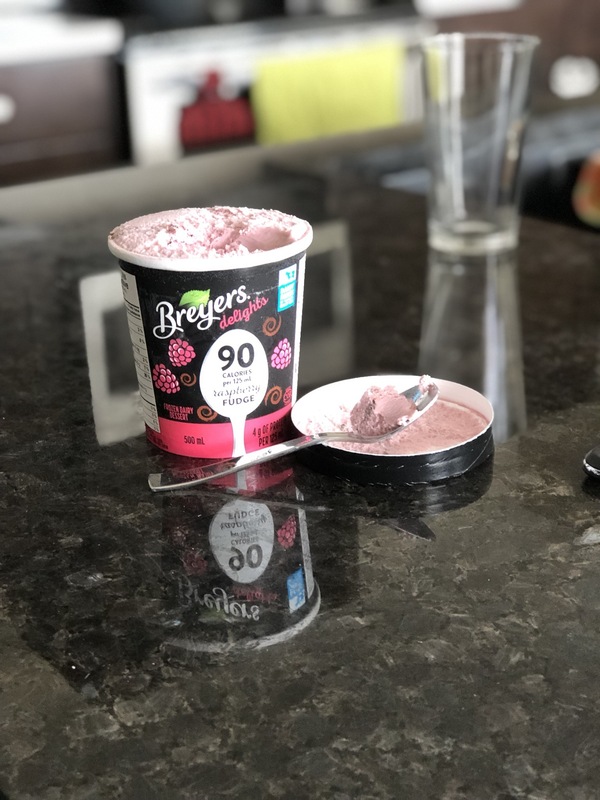 My first bite was a bit disappointing to tell the truth as I was expecting a stronger raspberry flavour. It is very subtle. The chocolate is also not in every bite with a few swirls here and there. 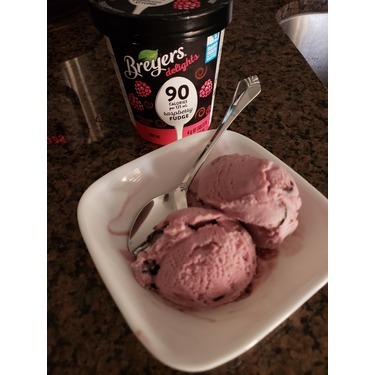 The The dessert is very light and smooth in consistency so it feels like you are enjoying a decadent dessert but the flavours didn't quite do it for me as I would have liked them to be more pronounced and flavourful in my mouth. 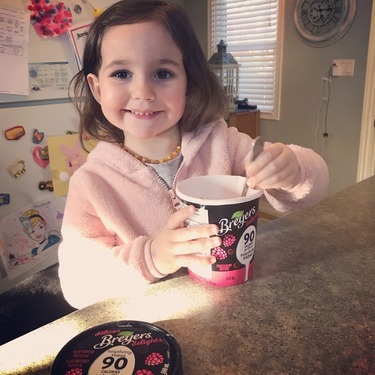 I was selected to try Breyers Delights Raspberry Fudge Frozen Fairy Dessert. This tastes so good and is made with real Canadian milk and cream. It has only 90 calories per 125ml yet is full of flavour. 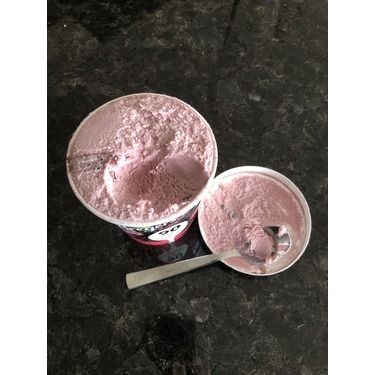 Good luck not eating the whole tub. 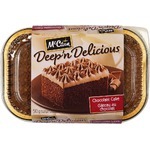 You can really taste the raspberry and the chocolate fudge swirls add a delicious bit of sweetness. I think this product is too expensive at $6.99 for only 500ml but because it is high quality it is good for when you want to treat yourself. If I could eat around the fudge would. . .